Put away your pitchforks and torches, estranged Patriots fans. The sky is not falling. Patriots fans across the nation were left speechless after an astonishing loss to the Kansas City Chiefs in the inaugural game of the 2017-18 season. 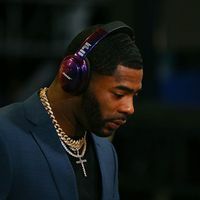 The Patriots celebrated the unveiling of their newest banner commemorating their victory in Super Bowl 51, but their play was nothing close to the caliber of their performance back in February. 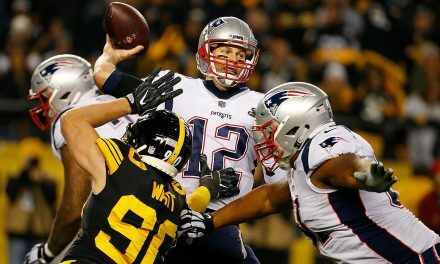 A swift bout on consecutive drives energized supporters as the Patriots soared to a 17-7 lead in the second quarter. 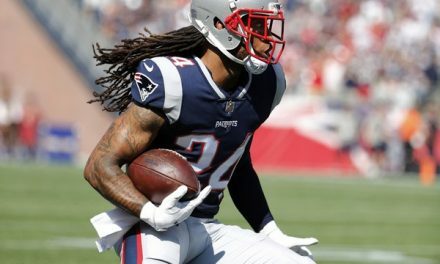 However, Gillette Stadium fell to a murmur after the Chiefs’ offensive resurgence in the second half, the Patriots fell 42-27. The Patriots? Losing? In their home opener? Armageddon must be upon us. What happened to going 16-0 in the regular season? The truth is that there were too many factors adding up early into this season that made being perfect impossible. The Patriot’s schedule in its own is rigorous enough to raise a few eyebrows. Tonight’s home opener against the Chiefs was one of the Pats’ true tests in the waking moments of the season. The Chiefs coming into the season are ranked as the 7th best team, per ESPN, and have only improved after adding depth into their powerful defense like linebacker Ukeme Eligwe. Other notable tough match-ups later into the season include the vengeance-seeking Falcons, and away both against the Raiders and Steelers. The Patriot’s performance did not amount up to their Super Bowl 51 victory. However, it is noteworthy that the Patriots have become mechanically different from they were in February. Both injuries and free agent acquisitions shook up the roster. Star reciever Brandin Cooks joined the squad as well along with running backs Mike Gillislee and Rex Burkhead. Two of the more prevalent roster changes are that of which Rob Gronkowski returning to his starting role after dealing with injuries for the past two seasons, and Tom Brady’s go to receiver Julian Edelman suffering a torn ACL and planning to miss the entire year. Emotions for those faithful of the Patriots became high when Edelman took the field during the pregame banner ceremony. Another huge loss for the Patriots came from a surprise retirement from linebacker and defensive end Rob Ninkovich. Since his departure with the team the Patriots’ edge rushing core has been far from the same. This and the dwindling wide receiver depth has proved to be the Patriots’ challenges early on. Without a proven edge rusher adjacent from Trey Flowers the defense has shown struggling on pass rushing Week One. Dont’a Hightower seemed to be the answer to this call until he left the game with a right knee injury. Tom Brady also showed frustration after his new primary target Danny Amendola left the game with a head injury. All production thereon out came to a halt in the second half. Subsequently the team’s morale fell as their lead depleted. A new year and huge expectations for a seemingly stable squad, when really some cogs in the machine are now replacements. September for Coach Bill Belichick is a month of trial and error with his ever-changing squads each year. The first weeks of the regular season are used to revise any holes on the roster and exploit player’s strengths. Jonas Gray, Malcolm Butler, and Dion Lewis all metamorphosed before fan’s eyes by Belichick’s system. 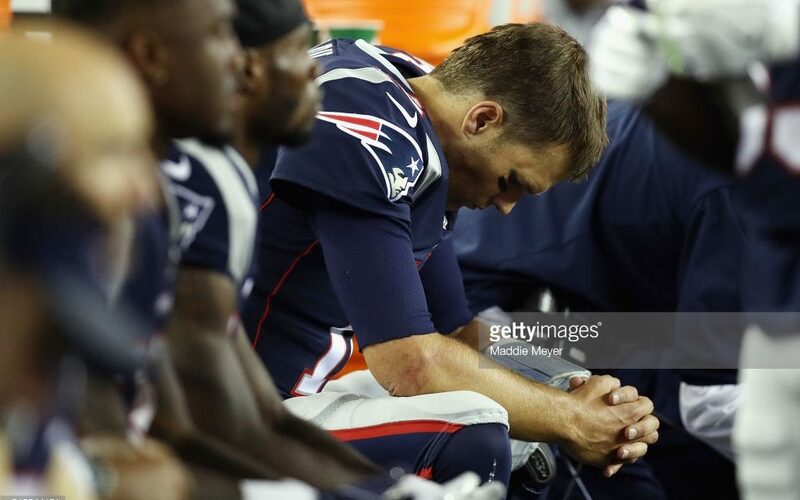 Fear, not Patriots fans, this loss is not one that marks any end of the dynasty. 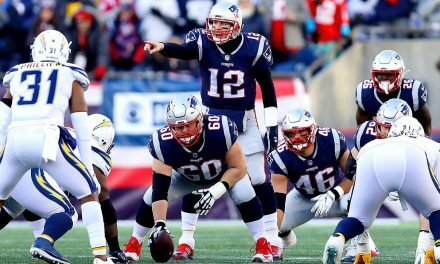 Like in 2014 when critics began to echo “Brady’s time is up”, the Patriots will come back swinging. Future Hall of Famer Coach Belichick has seen situations like this before with the team and is capable of making fixes to better the squad for the future. Did the Chiefs outplay the Patriots? Yes. Have the Patriots lost all chances to make a postseason run already after losing this game? Absolutely not. We’re on to New Orleans. PreviousBREAKING DOWN THE CELTICS ROSTER. Is this a repeat of the 2009 season for the Patriots?